School principals will soon have more than 250 STEM programs to help students excel in this economically vital area. The new resource is part of the STEM Skills Partnerships program and follows growing interest from the business community and STEM professionals in sharing the task of building the future economy. 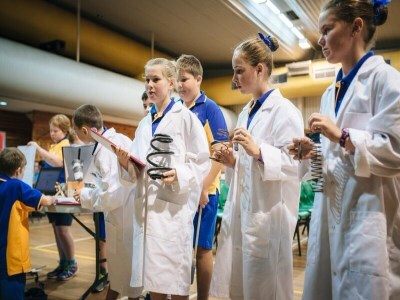 Yesterday’s release of the first national STEM Program Index (SPI 2016) was compiled by the Australian Industry Group (AIG) and announced by Australia’s chief scientist, Ian Chubb. SPI 2016 is an accessible guide to business, university, government and community-led initiatives putting students on the fast track to the future. It includes in-class, after school, holiday, residential and online activities, catering to a wide and growing range of students. Australian Primary Principals Association (APPA) president, Dennis Yarrington, explained how the SPI will make a difference to principals and teachers. “The SPI will enable schools to be aware of the options for extending the learning beyond the school and engaging with community or further afield based organisations or competitions,” he told The Educator. Yarrington added that the SPI will allow students to meet and interact with specialists or mentors in the field of study. “This connection allows for the learning happening at school to relate to the real world. Students will also be exposed to other ideas and new challenges that will broaden their thinking and knowledge,” he said. In terms of the impact that SPI 2016 will have on K-12 education moving forward, Yarrington said SPI 2016 is just the start as it connects the broad spectrum of learning from K-12. “The list also allows schools to see how learning in STEM should not be sector or year level divided. We also many schools with K-12 structures and the one list is more efficient,” he said. In a statement, AIG chief executive, Innes Willox, said that in order to build a competitive economy, Australia needed “workers with the kinds of skills developed in STEM-related disciplines”. “This will not be achieved unless STEM skills are provided in the pipeline to the workforce. This resource provides a wealth of information for schools and industry alike to become leaders in STEM skills activity,” he said. Wilcox added that there were “phenomenal resources” outside the classroom waiting to be tapped in education, in terms of mentors, equipment, networks and ideas.